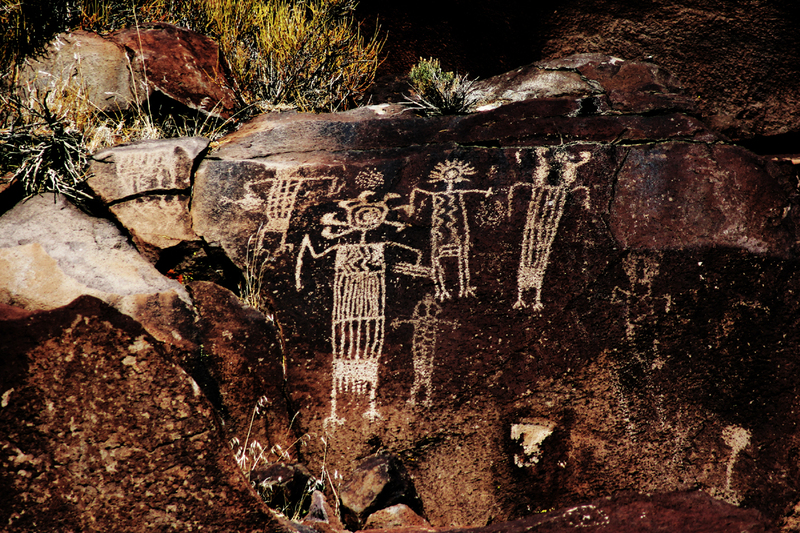 See one of the densest concentration of rock art in North America and visit the Coso Region in the far southern Sierra Nevada, Kern Plateau, and western Mojave Desert. Explore the landscape through descendant community voices and Coso experts. Six days and nights all food, lodging, and admissions covered. Begin your day with a journey to the southern Sierra Nevada towards Lake Isabella, the homeland of the Tubatulabal people. Stop along the way to visit palakuc, a prehistoric polychrome rock art site representing the largest rock painting in the region. 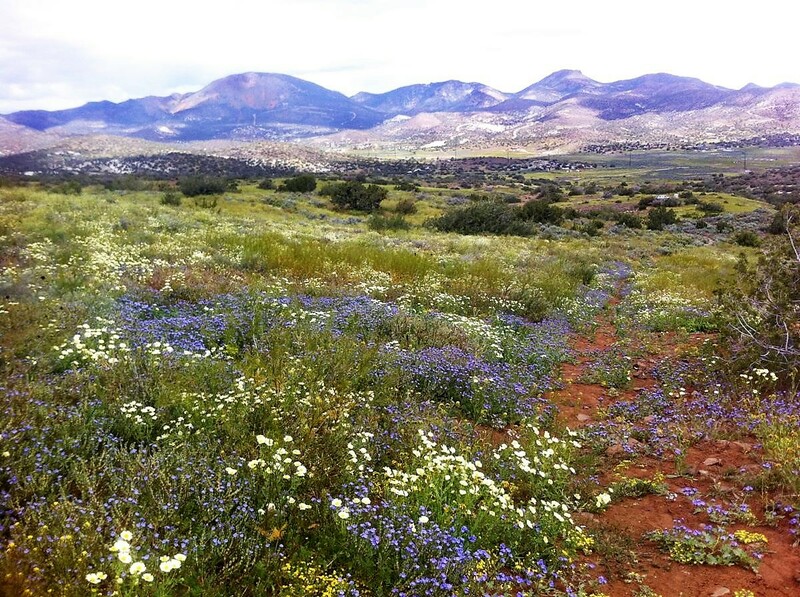 Visit with and hear stories from indigenous community members at the Indian Cultural Center before ending the day with a behind-the-scenes tour at the Kernville and Nuii Cunni Museums, featuring Native American artifacts dating back to the first-known inhabitants of the area. 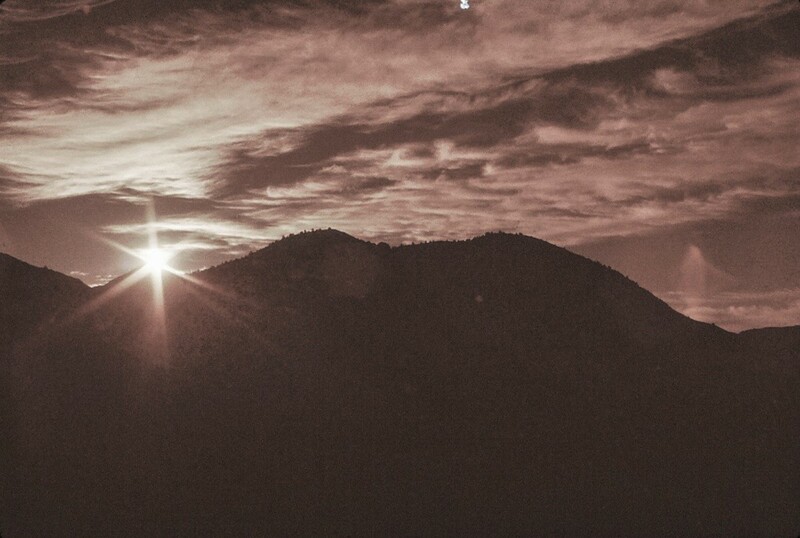 Overnight, Kernville. BLD. 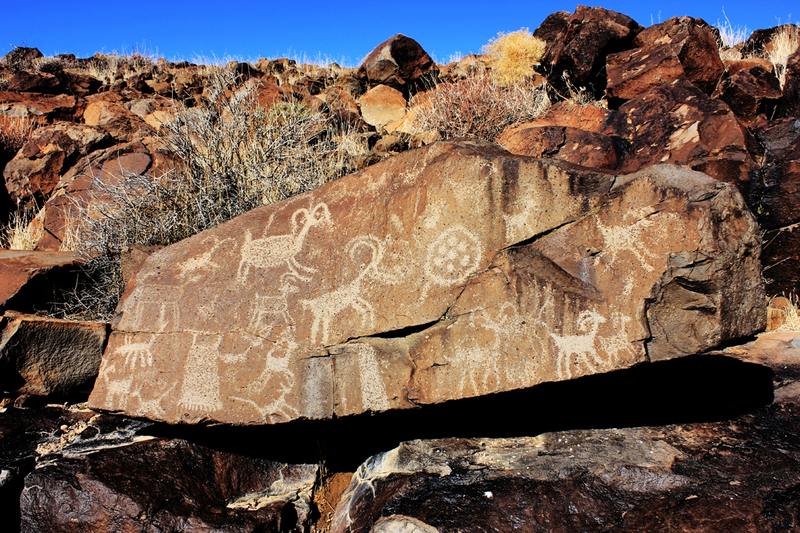 Today, you journey to Ridgecrest for another full-day of exploration with a visit to Little Petroglyph Canyon. Don?t let the name fool you. There are over 10,000 individual drawings carved into the basalt cliffs that date back to the Late Pleistocene and continue into the historic Contact Period. Access to these sites requires special permission from China Lake Naval Base. Naval base personnel will determine the location and duration of our visit. After a day outside, you head indoors for another behind-the-scenes tour of the Maturango Museum featuring a Coso Room exhibit. Overnight Ridgecrest. BLD.